At least we don’t have to feel guilty about eating him. Please don’t say that he was really made out of parsnips . . .
hi there! just stopping by to say hi! what a hilarious post!!! cheers! 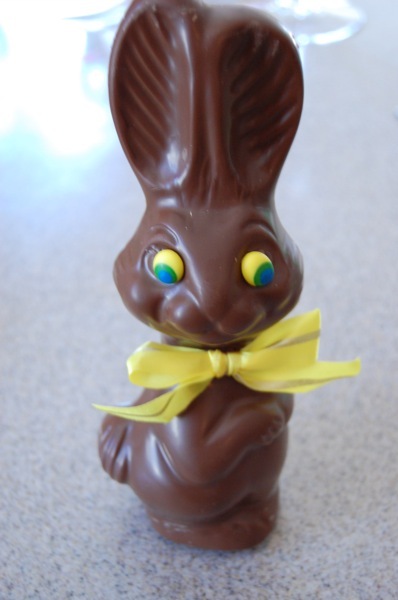 And when the bunny is made of chocolate it is a delightful pleasure too! This is funny! What happened? P.S. 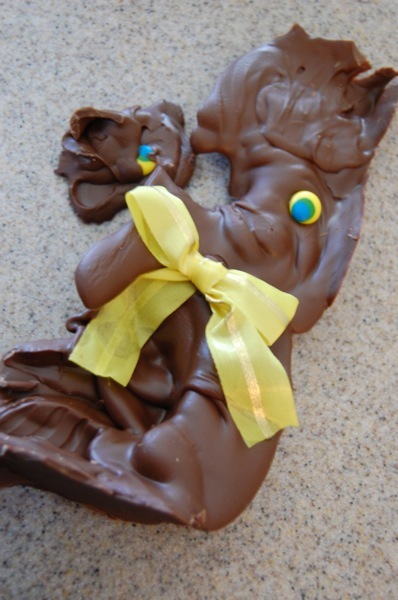 I wouldn’t have felt one ounce of guilt about eating him before his tragic demise!